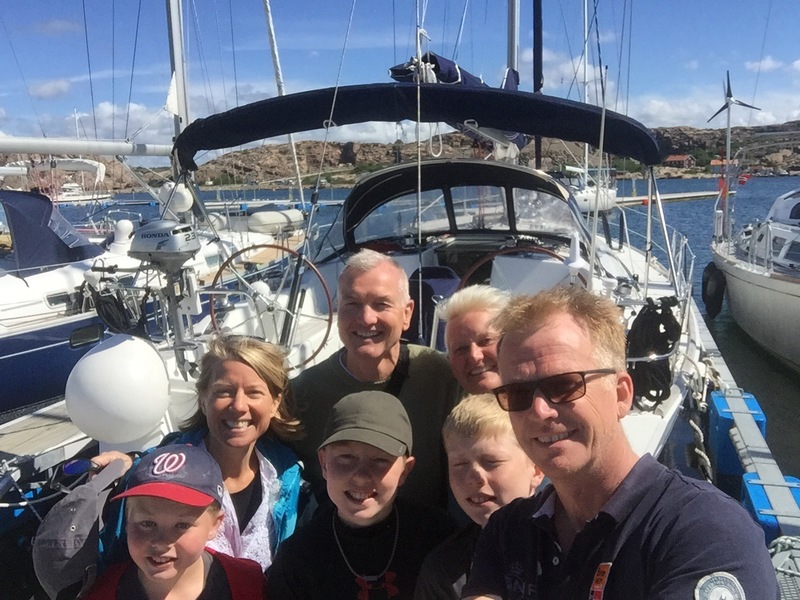 2-4/6 Sailing with relatives from the US. Anna had done a lot of preparation for making the visit from her relatives as great as possible. We knew they were coming from Anna’s sister Sara lunch time on Sunday and leave on Monday for Oslo. Also based on logistics with cars we decided to go meet them in Hunnebostrand go to Smögen and back to Basteviksholmen. 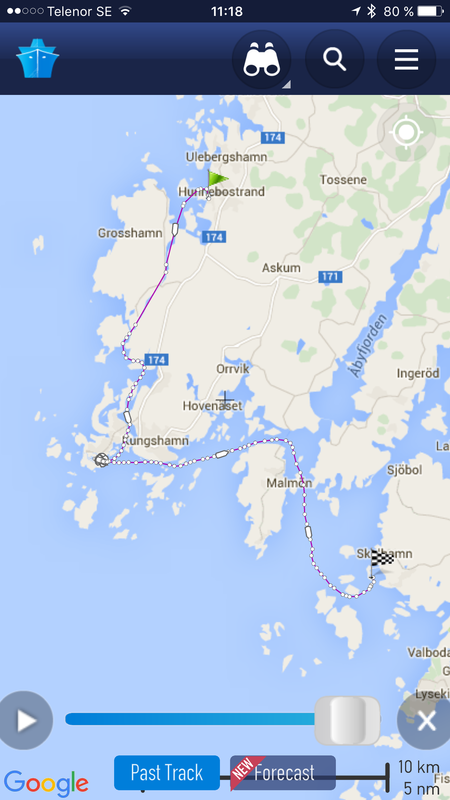 Therefore Anna and I cast off and set course towards Hunnebostrand. We got a nice long side spot beside a Jeanneau 49!. We had a nice dinner at the restaurant before we went back to the ship watching football. We relaxed and talked to our nice Norwegian neighbours either the Jeanneau (Ctrl alt del) before Anna relatives came at lunch time. Great to meet those nice people Jackie, John with the boys Hunter, Cole and Sam. 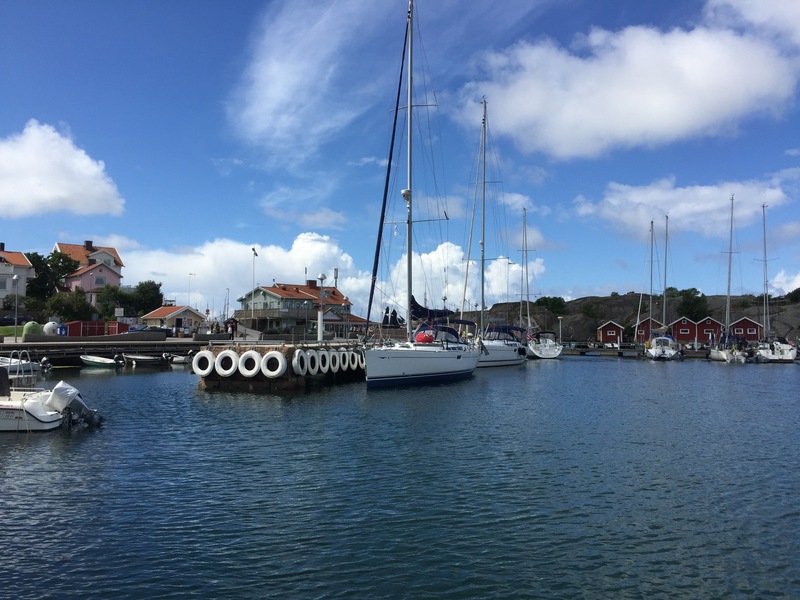 We had lunch before we cast of and set course towards Smögen where Agnes booked a spot. We went and have nice tapas in the restaurant at Hållöbar. A restaurant to recommend. We also took a nice walk around the rocks on the west part of Smögen looking out west. The boys run and climbed and we all enjoyed the view. Early breakfast and a bath for some of us 🙂 in nice weather before we cast of and set sail towards Basteviksholmen. Nice sail with the genua in 8-9 ms so the ship was leaning and the boys was really having fun.